*Ronnie Lott took spills for a living as a longtime cornerback and safety in the National Football League, but who knew the retired athlete would need a helmet for his gig as a studio broadcaster. The 10-time Pro Bowler straight fell off his chair Saturday night during a studio segment on the Pac 12 Network. 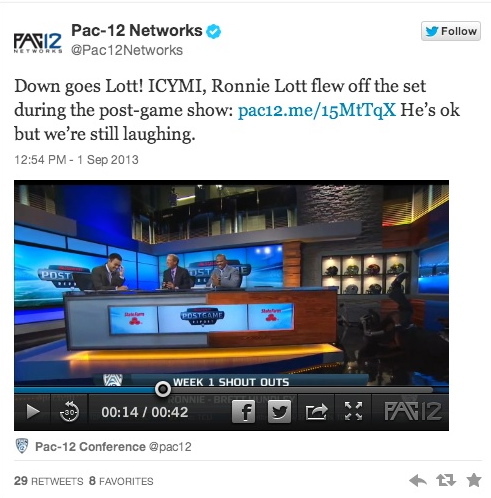 His colleagues at the Pac 12 Network fell as well…fell out laughing.